The city's success at turning garbage into gas will cost it nearly $6 million under a settlement of a long-running legal dispute with the Native village corporation for Eklutna, the biggest land holder in the municipality. In exchange for $5.75 million, Eklutna Inc. said it would waive future claims over gas revenue and use the proceeds from the settlement to build dozens of new homes in Eagle River over the next five years. 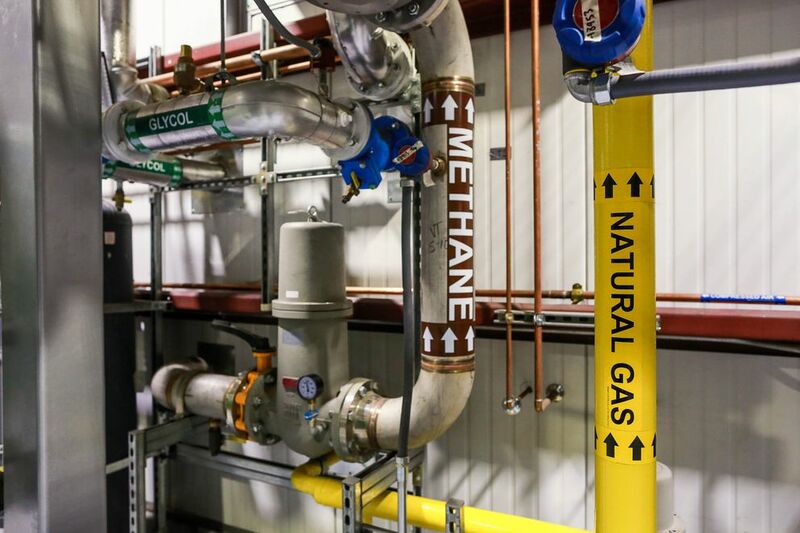 The dispute over the sale of methane gas, which was rooted in a decades-old land agreement, began in 2010. 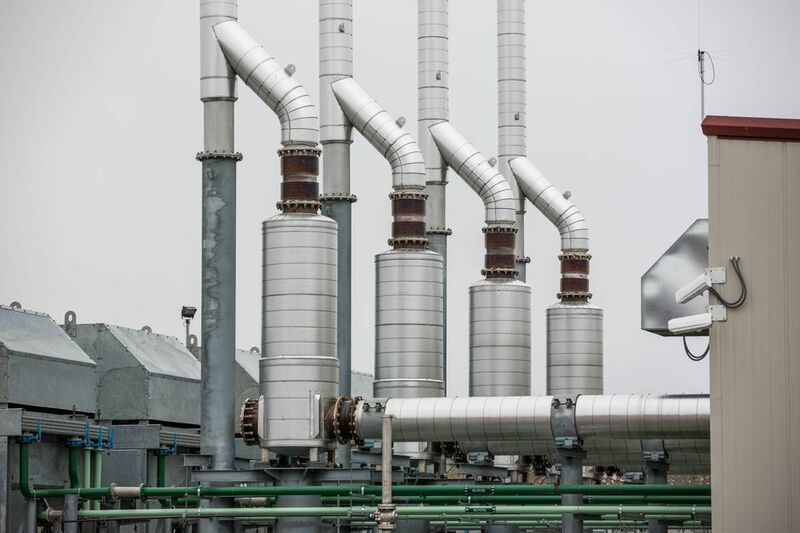 The city has been tapping methane produced by buried, rotting garbage at the Eagle River landfill, purifying, pressurizing and selling it to produce power at Joint Base Elmendorf-Richardson. At a news conference at Eklutna Inc.'s Eagle River headquarters on Wednesday, Anchorage Mayor Ethan Berkowitz called the dispute a "choking point" in the relationship between the city and the corporation. "We have a longer view of what our relationship should be," Berkowitz said. "The municipality and Eklutna shouldn't just be plaintiff and defendant, we ought to be neighbors and partners." The deal hinges on Anchorage Assembly approval by March 1. The dispute revolves around what's called the North Anchorage Land Agreement, signed by the city and Eklutna in 1982. The land agreement aimed to resolve competing claims for federal land conveyances selected by the city and Eklutna Inc.
Eklutna officials say the city, through the agreement, is supposed to split any revenues from "public interest lands" with the Native corporation. In 2013, Eklutna sued, claiming the city could owe it as much as $24 million from the sale of methane. When the lawsuit was filed, then-Mayor Dan Sullivan's administration countered that the revenue-sharing provision didn't apply to the gas because it came from improvements the city made to the land, not the land itself. Right now, the city makes about $2 million a year from the sale of gas, Berkowitz said. Officials said gas production will continue for many years. 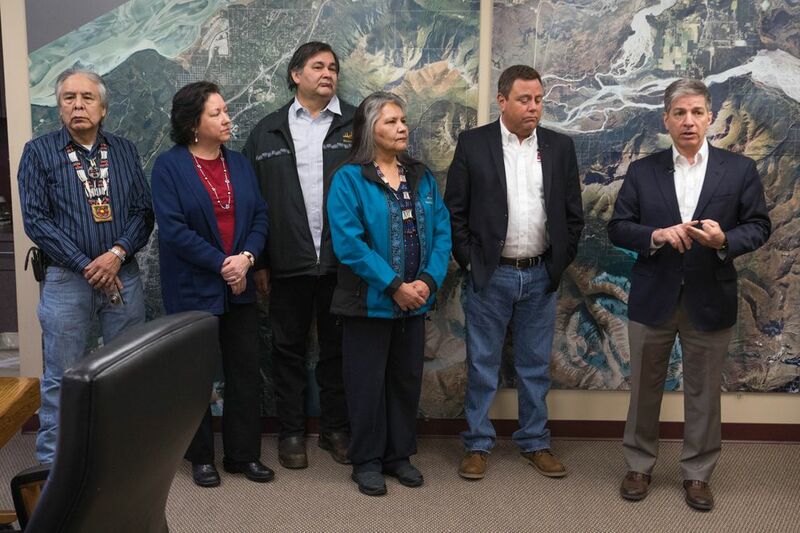 The chief executive of Eklutna Inc., Curtis McQueen, said during Wednesday's news conference that the settlement is a compromise for Eklutna. But he also said the corporation is "not always about the money." "This was something we had to get resolved so we could continue to do some really neat things," McQueen said. He highlighted Eklutna's plans to use the money to move more quickly to build housing on two parcels on the west side of the Glenn Highway in Eagle River. There will be single-family homes as well as apartment or condo units, McQueen said. The city's Water and Wastewater Utility has also agreed to get permission to build water lines to the new properties to support the construction, Berkowitz said. Once the water lines are built, Eklutna will have three years to build 45 units of housing on the so-called Powder Acres lots, and five years to build 63 single-family homes on the Powder Hills lots, according to city spokesman Myer Hutchinson. There will be penalties if Eklutna doesn't deliver: A $2 million payment and the waiving of entitlement to share revenue from 1,000 acres of North Anchorage Land Exchange land, according to an email from Hutchinson. Eklutna also agreed to waive claims to two other parcels, totaling 349 acres. One parcel will allow the city-owned electric utility to build a new substation and switchyard; the other is located near the landfill and is used by the city trash utility to store gravel. Most of the settlement money, $5 million, will come from the city's general government fund, according to Hutchinson. The rest will come from Solid Waste Services, Hutchinson said. McQueen said Eklutna started working with the Berkowitz administration to resolve the dispute shortly after Berkowitz's inauguration as mayor in July 2015.